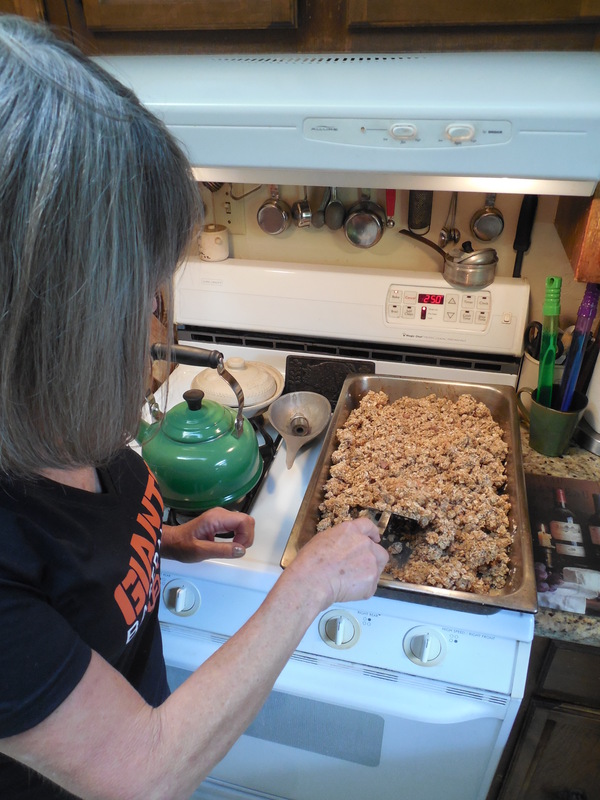 I’ve been making this granola for more than 25 years. John and the kids love it, and I’m pretty sure our grandkids will love it too, so I’m going to officially call it Grandee’s Granola. 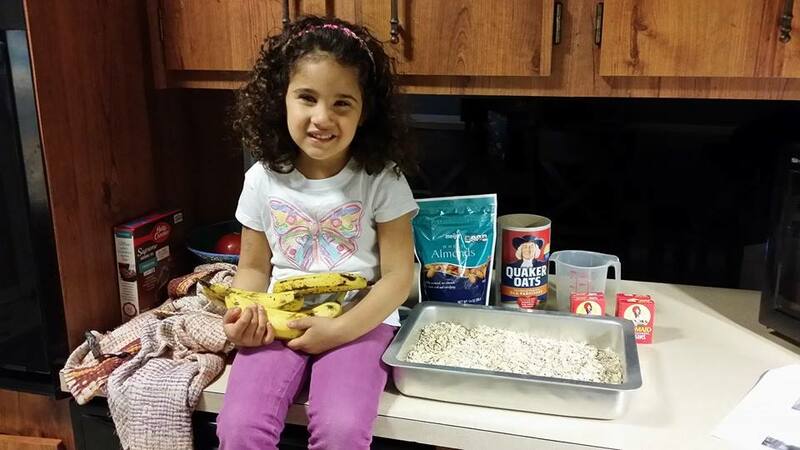 My little cousin is excited about making granola with her grandparents! 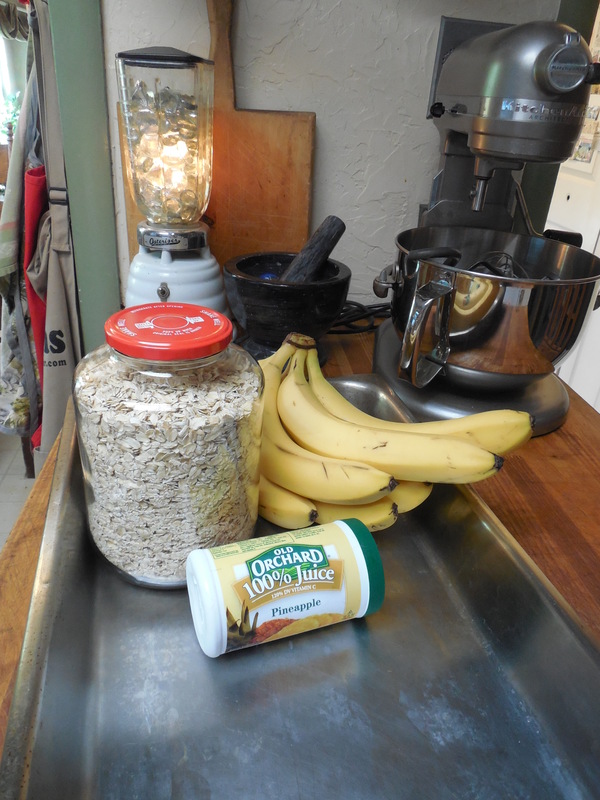 It’s so fast and easy…and healthy! *The pictures on this post show me making a double batch. You can also add at this time if you want them to be toasted. 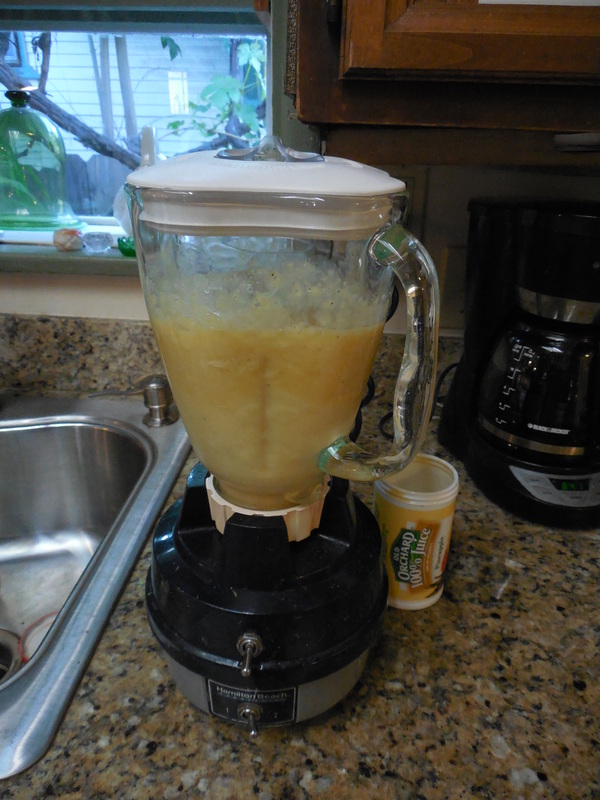 Blend the pineapple juice, sugar, and bananas. 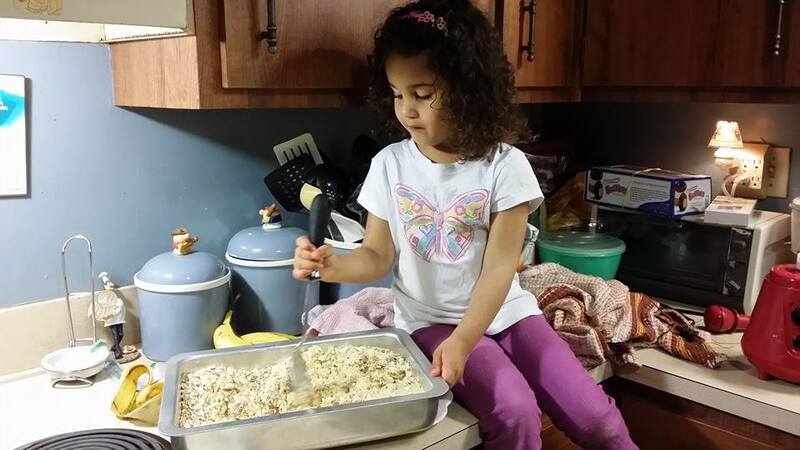 My little cousin is doing a great job of stirring the mixture. Bake at 250° for 2-3 hours. 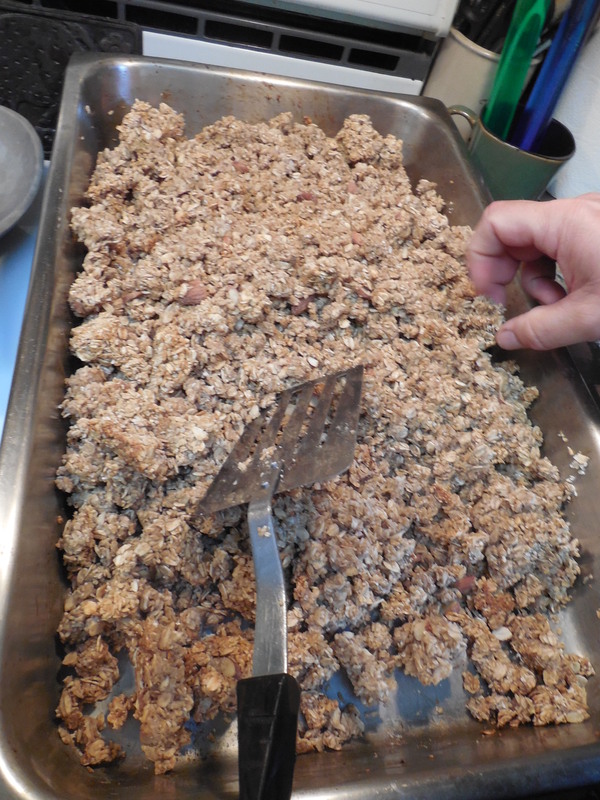 About every half hour take it out of the oven and stir with a metal spatula, breaking up the bigger clumps. 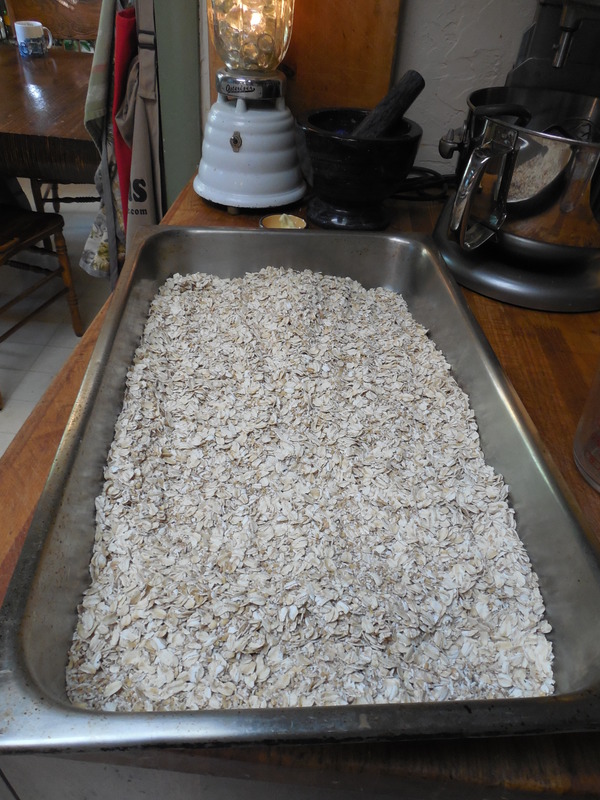 The granola will be done when it is completely dry to the touch. Beware of sneaky fingers (as pictured above) that will tend to snitch “tastes” as the granola cools. 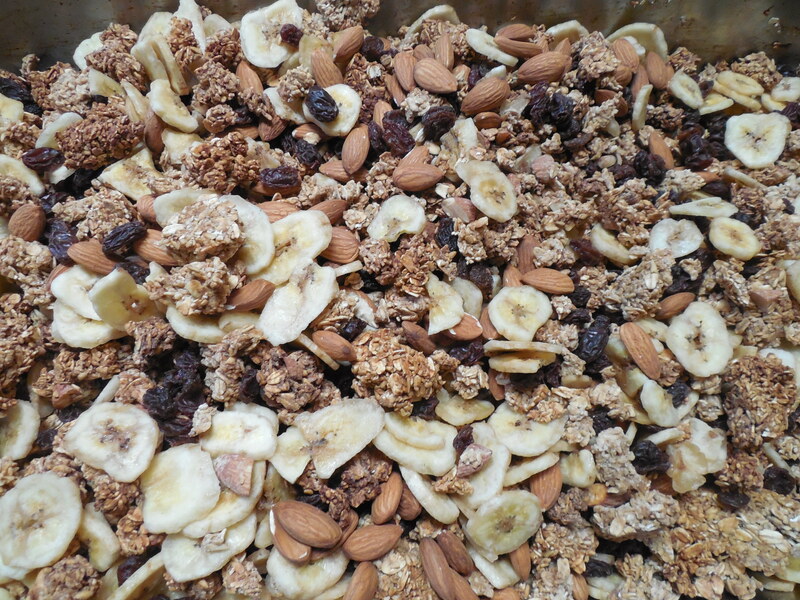 When the granola is cool, you can add raisins and banana chips. 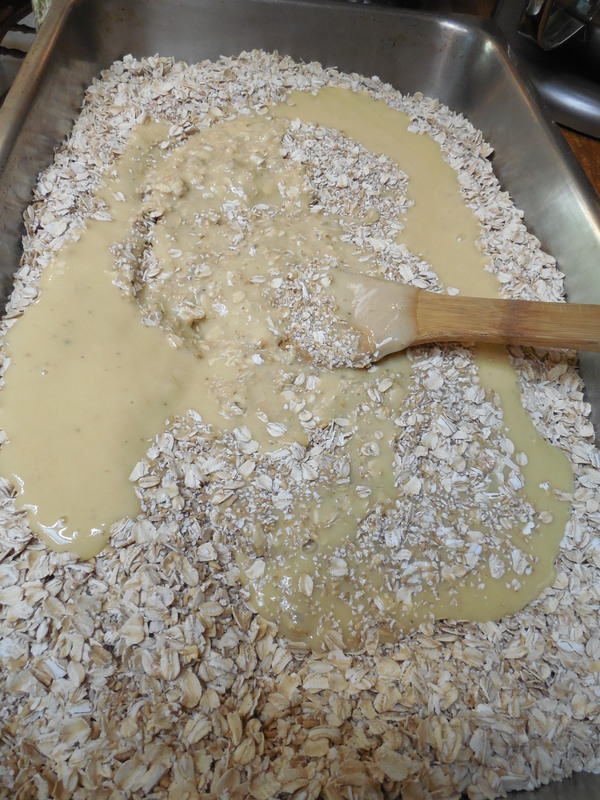 You can also add the almonds at this point if you prefer them raw. 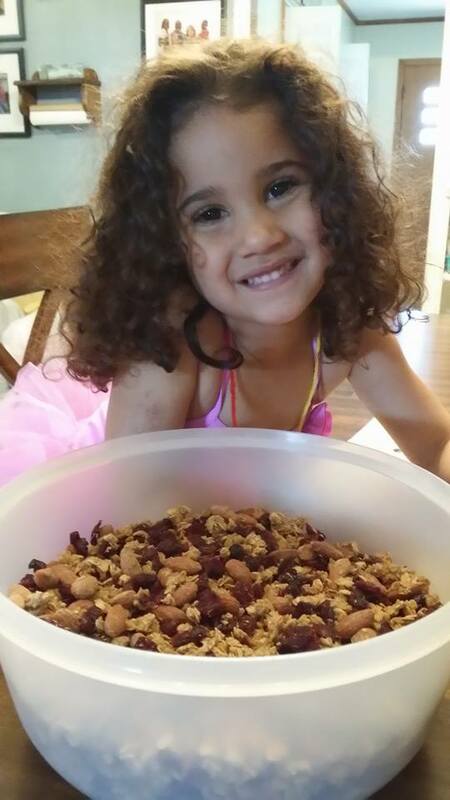 Stored in an airtight container, this granola will be good for months. Andrena, It sounds wonderful! You are such a talented person. I take my hot off to you.